This kit, developed in conjunction with our famous suspension kits, provides very light steering and removes inherent bump steer. Also due to a change in the steering arms, supplied with the kit on exchange, the new system provides toe-out on turns rather that toe in, which the original system exhibits. This ensures the car 'turns in' to corners rather than ploughing straight on. The basic rack is made especially for this kit and incorporates a rack bar of the correct length to ensure the steering behaves correctly. 2.9 turns of the steering wheel are required lock to lock which provides pleasantly light steering. Owners contemplating fitting this kit to cars with the standard worm and peg steering system will be aware of how incredibly heavy the steering is even with the original 17" steering wheel fitted. This is due to a combination of the inherent stiffness in a worm and peg system (compared to a steering rack) and the standard lock to lock figure of 2.25 turns. Our kit benefits from the inherent lightness of a steering rack and the slight increase in lock to lock turns of the steering wheel. The figure of 2.9 turns was settled on after considering that most owners will now have fitted a much smaller steering wheel, usually 14 or 15 which requires greater force to turn than a 17 wheel. For those requiring a more sporty feel we can provide a quick rack kit part number RTR3202L-1K with 2.15 turns lock to lock. Safety at Revington TR is a very high priority. The steering rack used in our kit has been chosen carefully for a number of reasons. 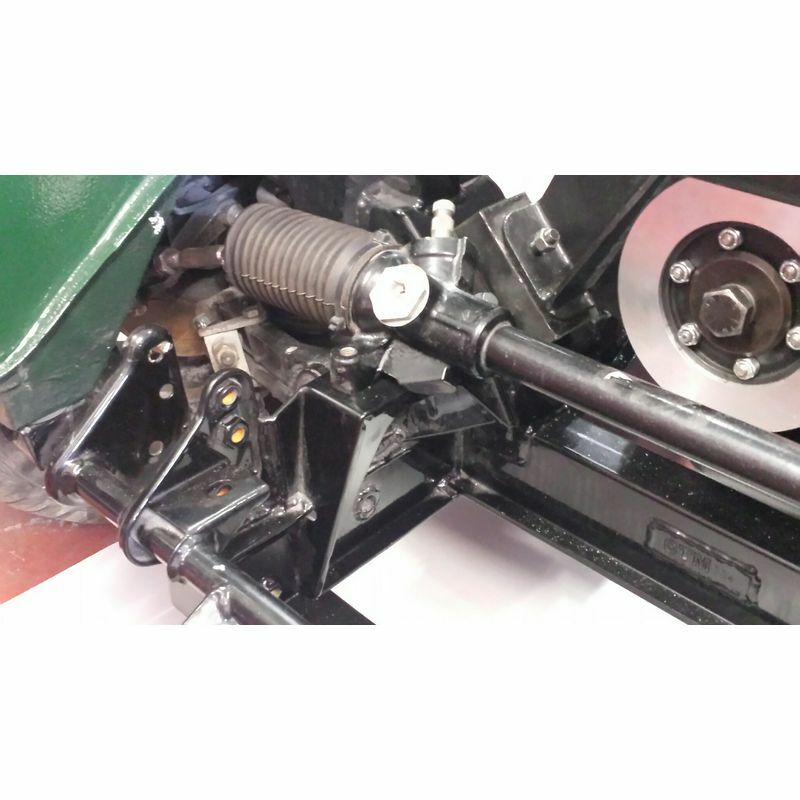 One particular feature is the angle at which the pinion exits the steering rack ensuring the lower universal joint of the connecting shaft is always operating through a significant angle. This will minimise the likelihood of the steering shaft being projected directly rewards into the chest of the driver in a head on collision as the shaft will tend to deflect sideways. A design feature common in modern cars. 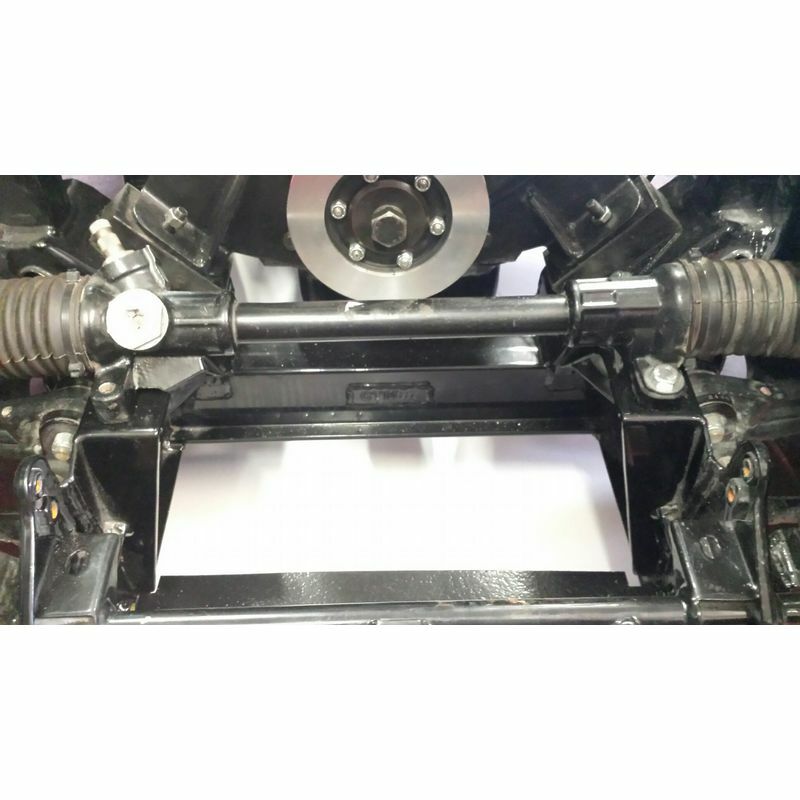 Kits RTR3202LK and RTR3202RK are supplied with modified steering arms. Your original steering arms need to be returned to RTR for credit as they are supplied on an exchange basis. 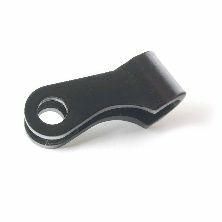 The cost associated with this part number will be charged pending the return of a pair of correct steering arms. When returned, RTR will refund the deposit in total. Whilst this is a hassle, the benefit is worth it. 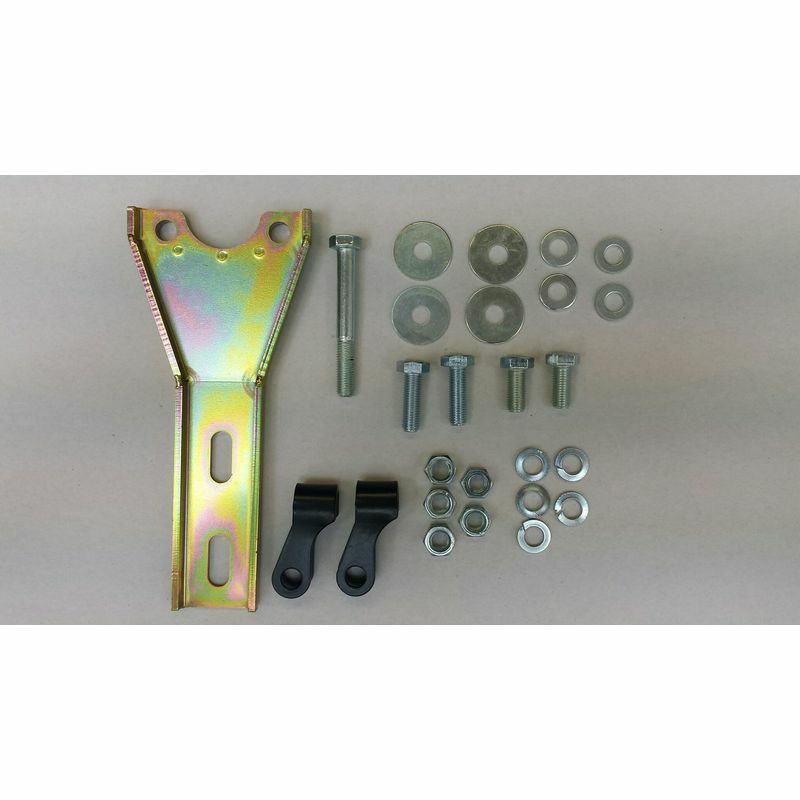 Only our kit incorporates this modification and is therefore unique in respect of this steering geometry modification. TR2-3 owners with non-split columns, when installing this kit will need an upper column of the TR3A, TR3B split column type. If you do not have one, we can provide an inner and outer set RTR3315K. In addition it is necessary to utilize some of the TR3A column support parts, bolted to the bulkhead. 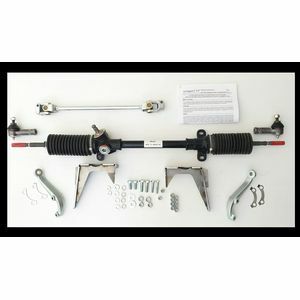 To make life easier, we offer these as a kit RTR3406LK and RTR3406RK for either left or right hand drive. See below. 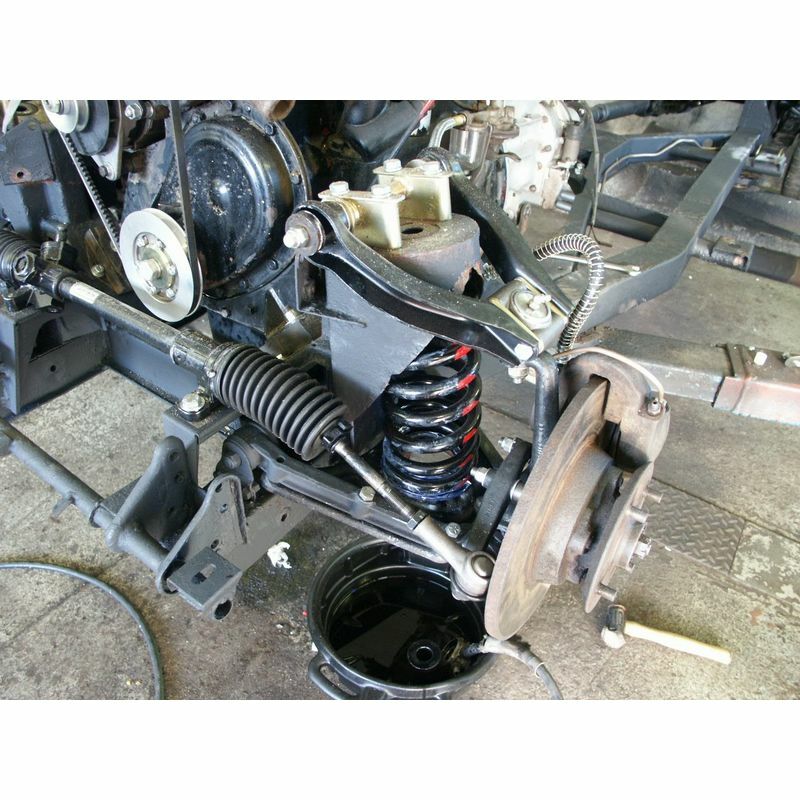 It is essential when fitting a steering rack kit that the rack bar sits in the same position as the original centre tie rod assembly. 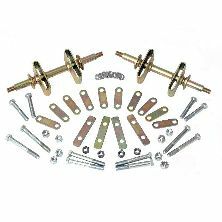 Our kit comes with brackets that have been carefully designed to fit in exactly the correct position on the chassis to ensure this is so. 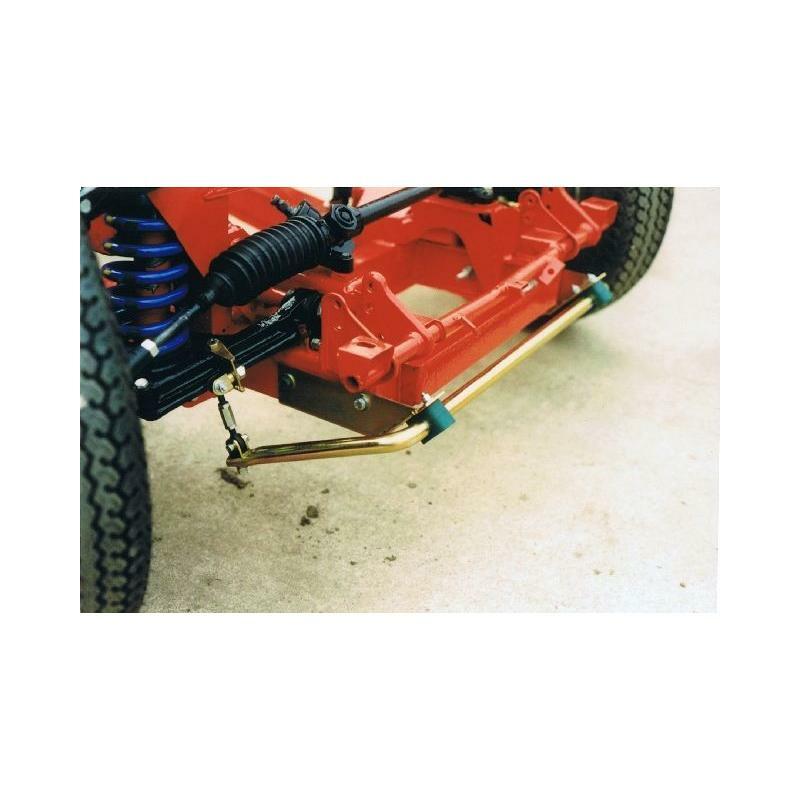 The brackets are firmly welded to the chassis to ensure there can be no movement of the steering rack with respect to the chassis. When the steering rack is in the correct position, as the steering rack outer tube is much bulkier than the original centre tie rod assembly, the space occupied by the steering rack wants to be shared by the fan extension sticking out of the front of the engine. This must be removed and replaced with a short bolt kit RTR1027K and an electric fan kit, typically RTR1483A, will need to be fitted too. 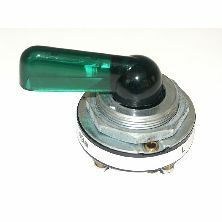 In addition some new switches will be needed for the indicators and the horn. We supply a range of these, which can be found in section 8 of our downloadable catalogue and on our website in the 'Electrical Systems' section. There is no technical way that the steering head containing the indicators and horn can be retained in working condition with any steering rack conversion. The head is held stationary by a long tube called a stator tube that goes right through the hollow steering column and is attached at the very forward end of the steering box by an olive seal and gland nut. It is this tube that carries the wires that operate the indicators and horn. The tube is called a stator tube because it stays stationary when the steering wheel and the column are turned around the outside of it. As a steering rack has no facility to accommodate such a tube and there are two universal joints in the way, there is no way the stator tube can be refitted and there is therefore no way of holding the steering head stationary whist the steering wheel is turned through over two complete turns from lock to lock. It is therefore necessary to use the alternative horn and indicator switch options we offer to reinstate these functions. As ever when there are several kits that appear to do the same job on the market, the characteristics of the kit should be examined very carefully before a choice is made. Some kits on the market increase the turning circle of the car from 32 feet to 38 feet, making the car as difficult to manoeuvre as a large saloon car! We have seen some ill designed kits which utilise too short a rack so that the rack comes to a stop before the steering stops are touched thus increasing the turning circle. 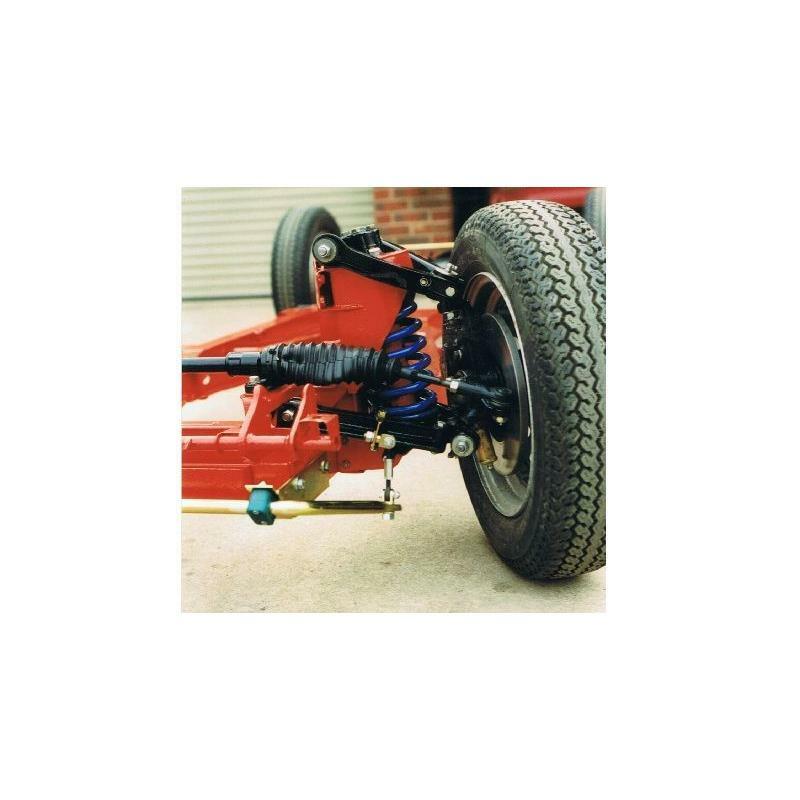 Our kit includes a rack with more movement than the steering requires so the factory fitted steering stops fitted to the vertical links of the suspension are the items that set the turning circle. It follows therefore that the turning circle of a TR2-3B fitted with our steering rack conversion will be identical to original. 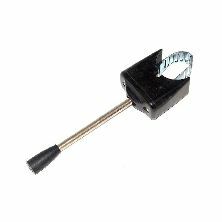 We often hear customers complaining about conversions bought elsewhere, typical comments include: The lock is restricted to less than two thirds of the original; the bump steer is quite noticeable. A major issue though with bolt on kits is that the bolted on support brackets apply huge force to the original steering box and idler chassis mounts. We at Revington TR have encountered these ripped off the chassis with this kind of kit fitted in the past. In some cases the fitters have had to saw bits off the rack to get it to fit too! Steering rack kits RTR3202LK and RTR3202RK do not require the late TR4 upper wishbones or lateTR4 trunnions to be fitted at the same time but if the later 3 degrees of caster, which helps with self-centreing, is required, then these parts can be supplied separately. If the change to 3 degrees of castor is being made it would be a good time to introduce our upper fulcrum kit RTR3112K too. If you have an adjustable steering wheel arrangement on a 'long' column you will not be able to use an adjustable wheel as the only 'short' upper column available is the fixed wheel type. There a very few adjustable steering wheel 'short' upper columns left in the world but if you have one of these and are intent on reusing it be aware that we have had one report of this in 20 years and may hundreds of rack kits sold that the wheel may end up slighter nearer to the driver (approximately 20mm in the case of the one report). We have not encountered this in our workshops so cannot verify this and of course the installation will vary from car to car. If the wheel position is unacceptable there are a couple of options. 1. If a smaller sporty wheel would be acceptable then the short normal upper column would put everything where we would expect it to be. 2. 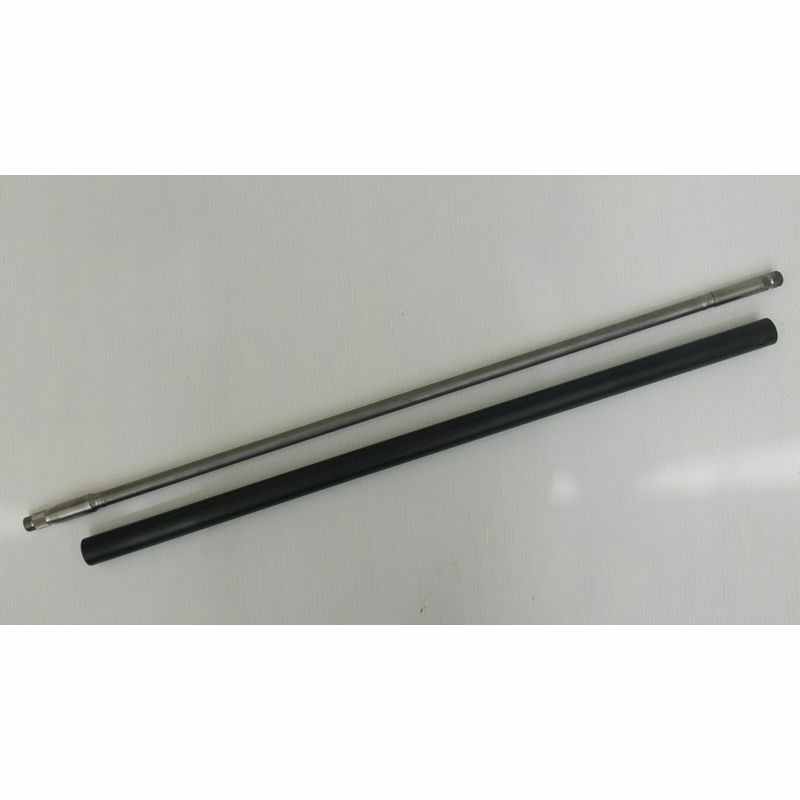 We can have a shorter UJ shaft made for you as a special order to your specified length so the steering wheel will end up where you want it.
" The Revington TR rack conversion kit has been on the TR2 since 2016 and in one year travelled 6000 miles including 2431 miles around Tasmania. I have never been happier or more relaxed, the steering is positive and sure both on corners and in a straight line; a remarkable transformation". Bob in Australia. Our rack conversions are in operation all over the globe, an Australian customer wrote to us recently saying "Hi Neil, the rack has now covered 1500 miles and is Great; a fantastic result even with our round Australia trailer on! Q: Is any welding required with the RevingtonTR TR2-3B steering rack conversion (RTR3202 series) and if so why and what is involved? Yes most definitely our rack conversion support brackets are WELDED on. We consider it unsafe to bolt on a kit to the brackets intended to carry the steering box, as the angular moment forces are too great. 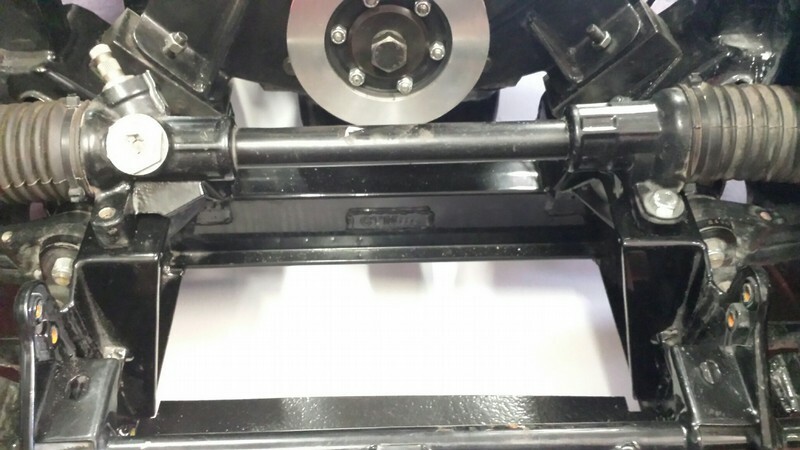 The chassis brackets crack in this area in standard form without putting more force on them. The welding required is minimal and can be performed with all the suspension and the body in place. One important consideration is that an electric fan will need to be fitted as the original fan and extension will need to be removed as the rack bar, being a larger diameter than the original steering cross shaft, wants to occupy the same space as the fan extension. Lowering the rack is unacceptable as this introduces bump steer which makes the car uncontrollable. The photographs linked to each part number show the front apron removed and the brackets assembled to the chassis. These are welded onto the chassis which amounts to something like a length of 300mm of welding all in. This should take a competent welder a very short time to complete. Is the support kit for the upper column bolted on or welded on? Support kits, RTR3406LK and RTR3406RK should not to be confused with the brackets that support the rack. 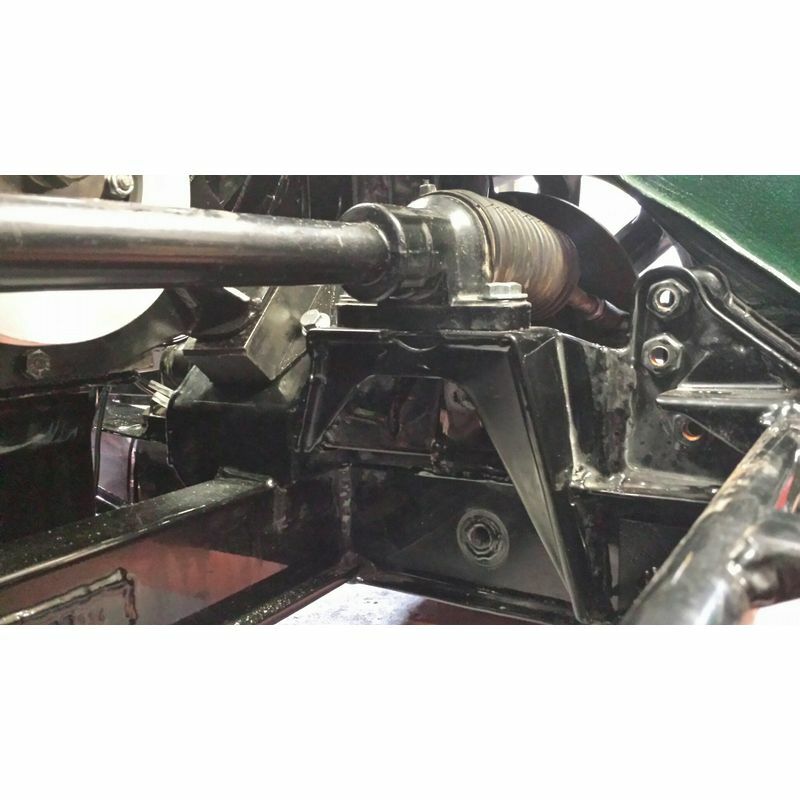 The support bracket is bolted onto the bulkhead and is a kit of standard TR3A parts only needed when a solid full length column is being removed. The kit is required to support the lower end of the upper column where it protrudes through the bulkhead in the engine bay. How much stripping down is required? Stripping down is limited to apron off, radiator out, removal of the old steering parts (steering box, idler, cross shaft and track rods), and the engine fan parts that have to be replaced with an electric fan and short bolt set. Also the hubs need to be removed to fit the modified steering arms. Q: I'm thinking about changing the original worm and peg steering system on my TR3A to the rack and pinion Steering system fitted to a TR 4 Can I fit a TR4, 5, 250 or TR6 Steering rack to a TR2-3B? The TR4-6 steering rack is too wide. These cars are wider than the TR2-3B by 100mm This means that the inner ball joints are too far apart and will introduce adverse and unwanted steering effects. The worst of these effects is bump steer. This is where the wheel turns in or out as the wheel rises or falls under suspension loads making the vehicle very unstable especially on undulating surfaces. A well-known racer astounded me once by telling me he had eliminated the effects of bump steer by simply preventing the suspension from moving up or down too far! I could not believe what I was hearing as this is rather like closing the barn door after the horse has bolted! The correct solution if suspension travel is to be maintained is to ensure that the ball joints are in the right place. Not surprisingly Triumph had the suspension geometry correct for the tyres being used in the day. This geometry only requires a small improvement explained later. What you need is our kit part number RTR3202LK (for left hand drive) or RTR3202RK (for RHD). 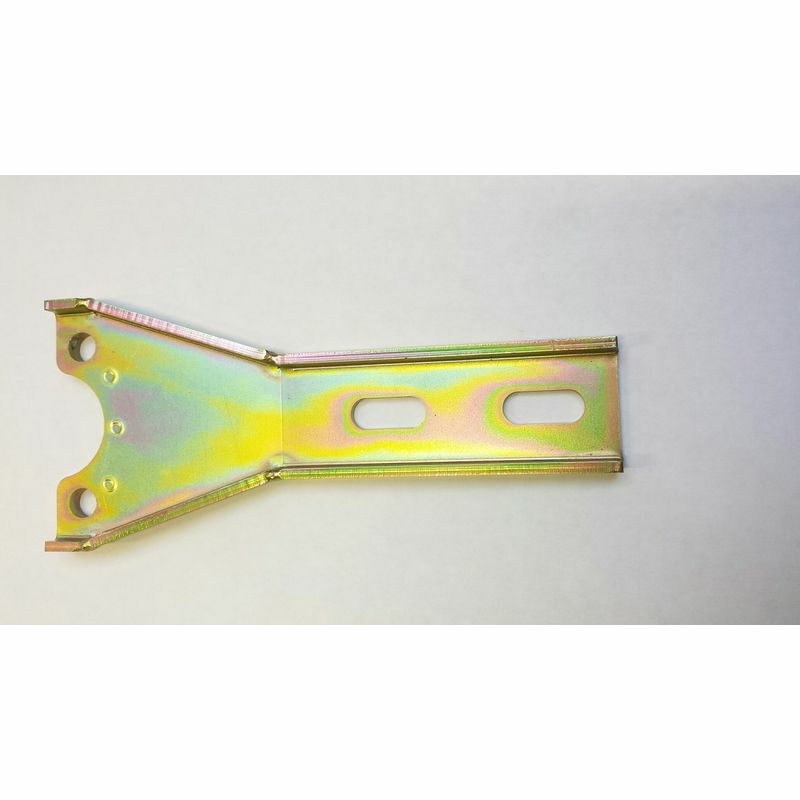 these kits include the correct length rack and employ bracket that weld to the chassis to ensure the correct rigidity and position the rack correctly to ensure the steerign geometry is correct. If you currently have a solid column, not split, you will also need an upper column Kit 121154X and a support kit RTR3406LK or RTR3406RK. Please remember you will need to alter the horn and indicator arrangement. We have all the necessary switches to do this. Lastly, the kit improves turn in by altering the Ackerman angle of the steering. To do this we supply redesigned steering arms which move the outer ball joint out sightly to change the Ackerman angle from negative to positive. All prices are available on our website. Revington TR information: Also see RTR3406RK. Revington TR information: Upper column kit consisting of a hollow inner shaft 205221 and an outer column with plastic bushes fitted top and bottom. Revington TR information: TR2-4 adjustable top fulcrum. Enables accurate setting of camber. This useful kit obviates the need to "cut and shut" wishbones. Designed and developed by Revington TR in 1990 and still a best seller world wide! Revington TR information: This kit includes a 280mm (11") suction fan in a 12" casing, crank bolt set (RTR1027K) mounting brackets and a precise adjustable temperature controller. 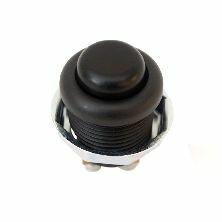 Revington TR information: TR2-3B dash mounted indicator switch with illuminated arm. 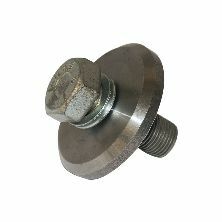 Revington TR information: TR2-4A Crank washer and short bolt set for use when the fan hub extension is removed. 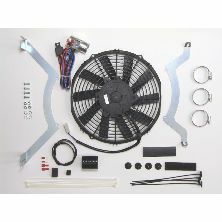 This kit secures the fan pulley and inner hub (which the front oil seal bears on) to the crankshaft.